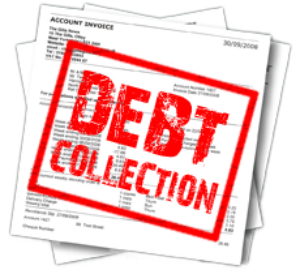 Debt Collection Solution: Newfies-Dialer can be an effective weapon in Debt Collection. Often the reason for non-payment is nothing more than inertia on the customers part, and would simply need a gentle “past bill due” reminder to encourage payment coupled with a payment processing option. It is possible to load a list of debtors into the Newfies-Dialer phonebook, and call each debtor, and on answer present them with an option to listen to their outstanding balance, speak to the finance department, or even to present a credit card IVR so that the customer can make payment immediately over the phone. This methodology, using a similar, but less flexible application, was developed by Star2Billing for a telecoms company who used it to remind their customers to pay. With over 15,000 customers, half of which paid by credit card over the phone, the costs of money collection were high. The system paid for its development and hardware costs in the first week of operation, and the debt collection team hit their monthly target for debt collection in the first two days of operation. Furthermore, the customers were grateful to be called, saving them the cost of a phone call, and avoiding having to queue to talk to the finance department to pay their bill. Newfies-Dialer can be configured to call people at various times of the day to increase the chance of making contact, and for the persistent debtor, the system can be configured to follow a more aggressive calling pattern.